Development of a Rail Emergency Preparedness Toolkit (in paper and electronic versions) for municipal residents and First Nations. Improvement and expansion of MyRailSafetyApp. Local and National Community Outreach to raise awareness and share information on rail safety. You can find details about our project on Transport Canada's website. Thanks to wonderful supporters who were able to attend our Comedy Nights and Family Fun Fair this year, to date we've raised 22% ($2,710) of what we need. Note: All of this money raised will be matched dollar-for-dollar by Transport Canada! Now more than ever we need your support! 1. Help us raise the remaining amount of half the cost of this important work. And remember that your donation will be matched by Transport Canada! 2. Share your feedback! Let us know what you think of MySafeRailApp or participate in the development of our toolkits. 3. Pass on this opportunity to stand up for safe, transparent, and regulated rail! Together we can make a difference. 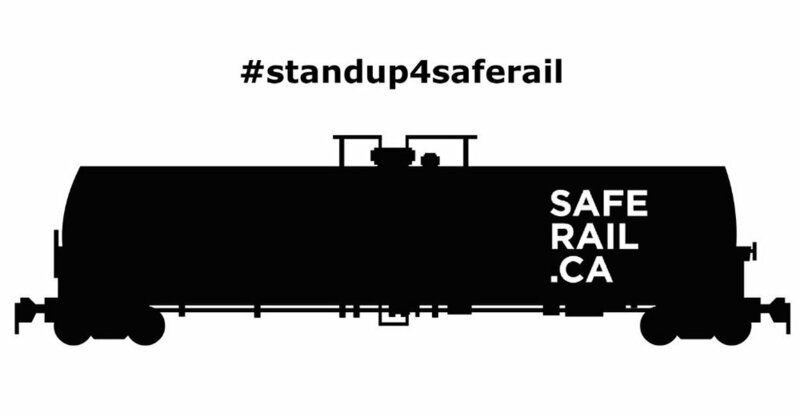 Want to take Action and support all Canadians living along rail lines across the country? Make a donation to support Safe Rail Communities in our unwavering commitment to hold our government accountable on the issue of public safety.